Welcome to the Ste-Agathe Animal Hospital. Our hospital was founded in 1978 by Dr. Robert Aucoin.Since 1991, our hospital is an accredited member of the American Animal Hospital Association, an organization which recognizes the excellence of animal care. Our MISSION is to deliver the best animal care for our patients and exceptional client service. Not so long ago, there was almost no talk of dental hygiene. When scaling, it was not uncommon to extract the majority of the patient’s teeth because it was already too late. Now we talk more and more about dental hygiene from a young age. Adult dogs have 42 teeth and the adult cats have 30 teeth. By the age of 3, if there is no dental hygiene, more than 70% of these animals will suffer from gingivitis caused by plaque (bacteria in high concentration) and tartar accumulation on the teeth. Animals accumulate plaque 5 to 7 times faster than humans. Plaque mineralizes and becomes tartar, which if left to spread, will cause damage to the gums including redness, sensitivity and easy bleeding. In addition, studies have shown that, as in humans, poor dental hygiene can lead to many health problems. The mouth bacteria are carried into the bloodstream through the gingival capillaries and travel throughout the body via the circulatory system. These bacteria can then damage different organs such as kidneys, liver and heart. Make sure, during your pet’s annual checkup, that your veterinarian examines the condition of your pet’s teeth in order to quickly detect the onset of gum or periodontal disease. 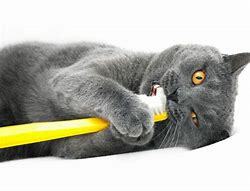 The best way to prevent tartar build-up is, of course, regular brushing (3 times a week) with a toothpaste designed for animals, since animals swallow it, human toothpaste will irritate your pet’s stomach. Also, appropriate food will help remove plaque and tarter formation through their mechanical action and special ingredients. If your pet is already older, has bad breath and tartar build-up on its teeth, after a health exam by the veterinarian and maybe a blood test if necessary, we can perform a dental procedure involving scaling and polishing of the teeth under general anesthesia. 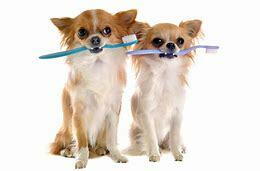 After which, your pet’s teeth can be maintained with regular brushing at home. 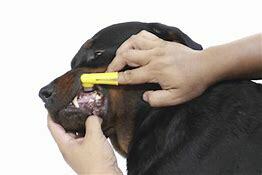 Make an appointment with our technician to have the condition of your pet’s teeth checked . She will explain how to improve your pet’s dental hygiene with proper dental care, talk about what is available on the market, give you some samples and if needed, provide you with the estimated costs of performing dental prophylaxis on your pet’s teeth.